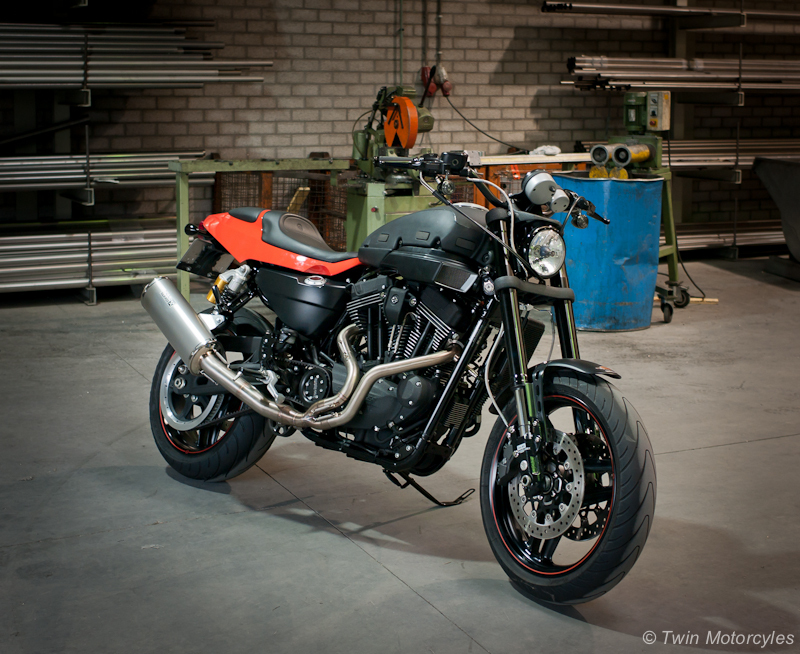 14-6-2013 - This is all about the development of our new 2-1 Torque Hammer system for the XR1200 and the XR1200X with the European E-Mark. 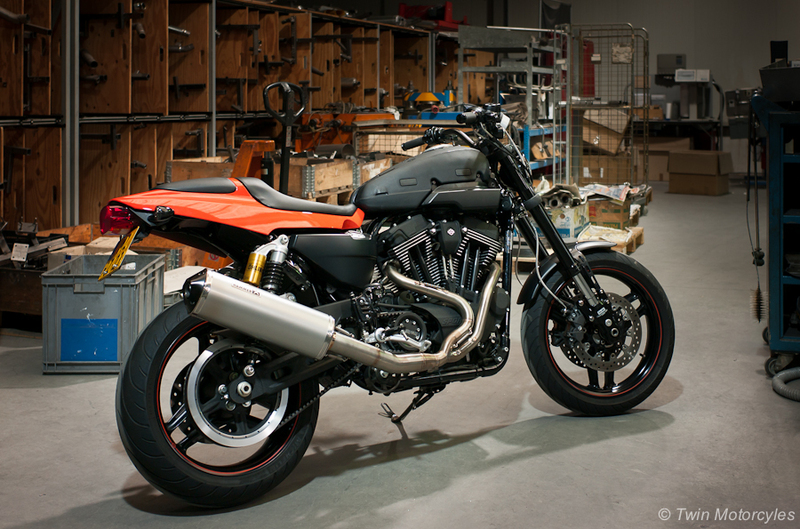 Today I brought the 2010 XR1200 (Thanks Richard) to our exhaust manufacturer to finally develop the E-Mark Torque Hammer exhaust (our first E-mark exhaust) for the XR1200 and XR1200X models. 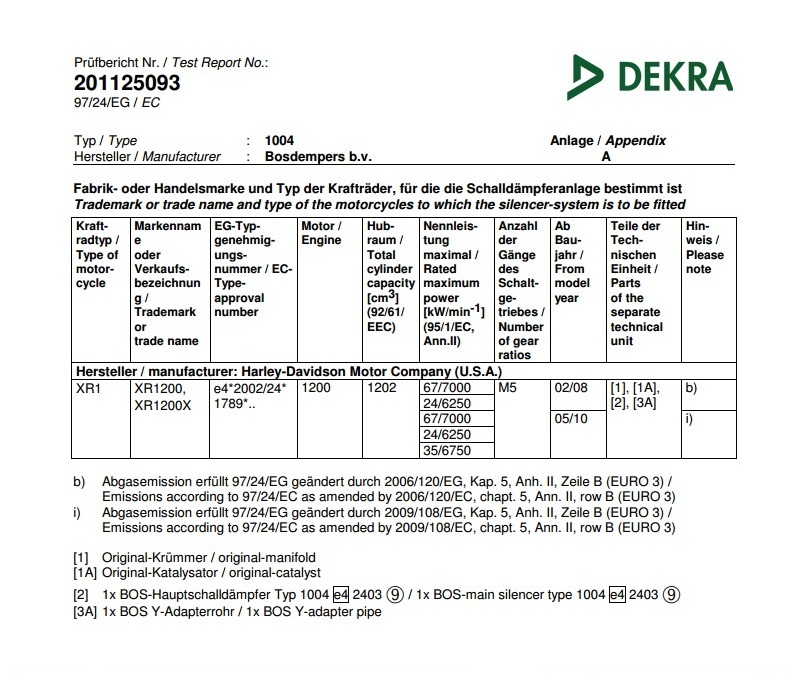 So all Customers from Germany, Switzerland, Italy, Spain, (and the rest of Europe I forget) who are waiting can also finally buy our Torque Hammer product and drive with E-Mark. Because of this, The design of the slip-on wil change. Current Torquer Hammer customers, can simply upgrade to the new slipon and get a new TTS Mastertune file for free to run it with catalyc convertor, or as a real exhaust without and without db-killer. It will make a nice deep and dark sound and not to loud. What is the case for our existing customers. 2. 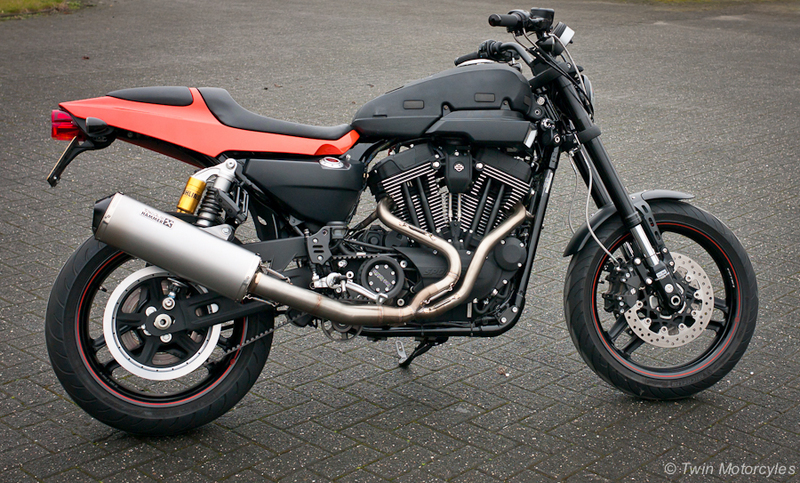 Replacement Slip-on with new downpipe piece , you keep the stock headers, NO E-mark but beautiful system with removable db-killer race system, outstanding performance. 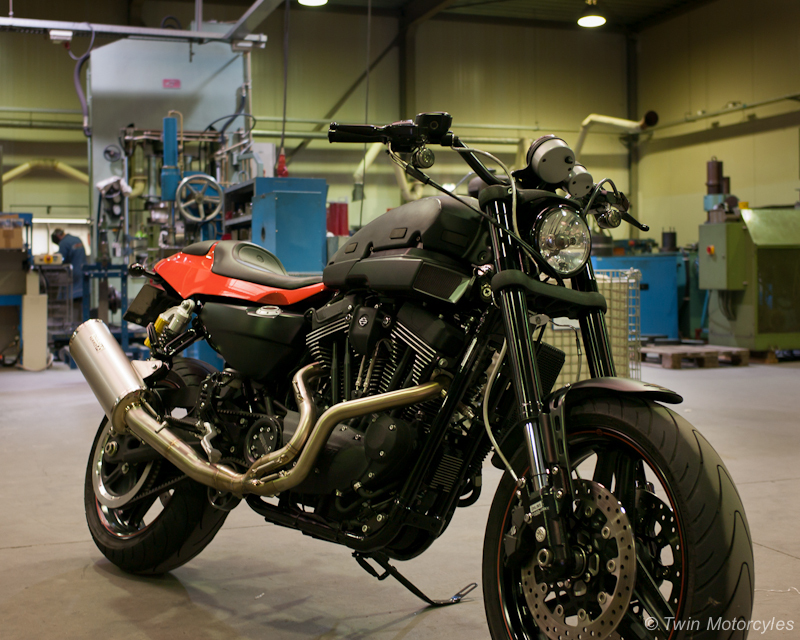 Thanks Richard for taking these beautiful pictures Here is our Torque Hammer with E-Mark, ready for testing. 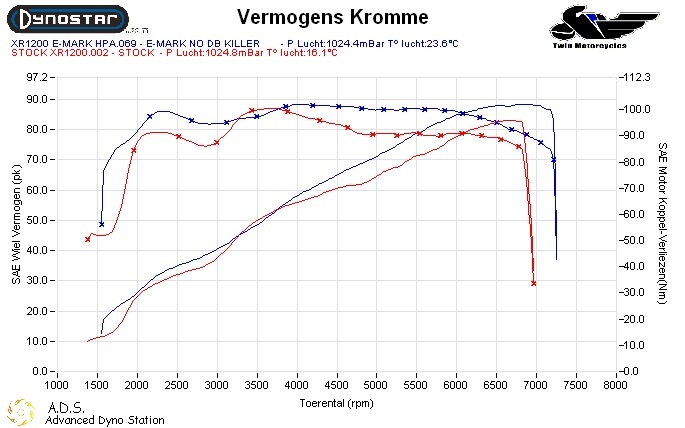 We developed a new slip-on for the E-Mark and we developed a new db-killer, and we developed a new tube. The angle of the exhaust is also more tucked in at the rear, and we even have more groundclearance then any aftermarket pipe at this moment. This will not scrape the ground. The next important change is the positioning of the silencer. 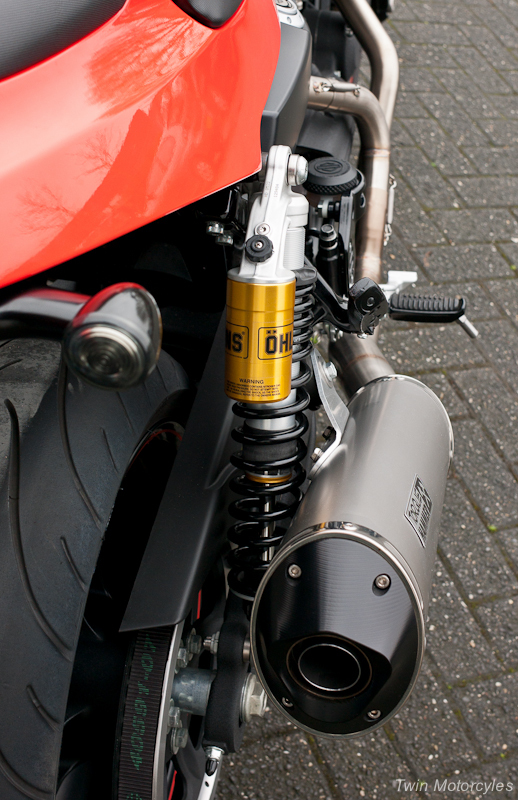 On the Torque Hammer II the silencer runs perfectly parallel to the bike. Not 'sticking out' slightly like the current model. The third change is the vertical angle of the silencer. 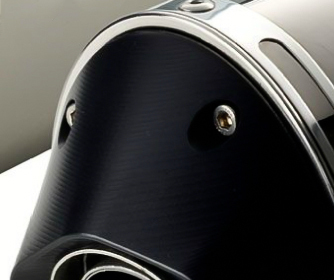 The new silencer is less upswept and is very close to the angle of the original silencers. The new silencer and changed design made a new connecting pipe necessary. The headers and collector (the 'Y piece) are unchanged but the pipe has a slightly larger diameter to accommodate the new silencer. 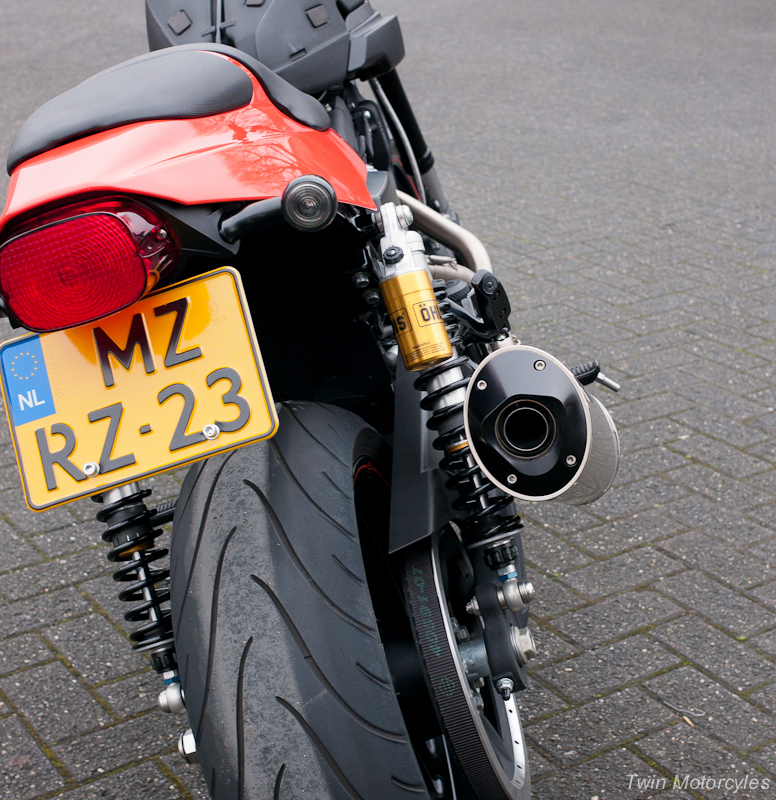 I think these design changes make a huge improvement in the look of the exhaust. 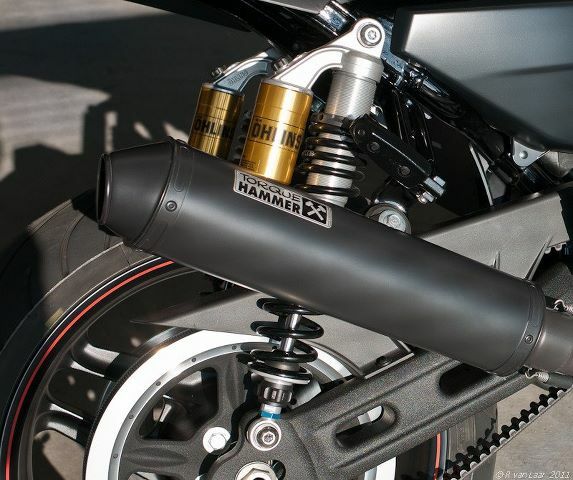 As discussed, there will be two versions of the new silencer available; a street legal version with E-mark and a 'straight through' Race silencer (like the current model), both with removable Db killers. 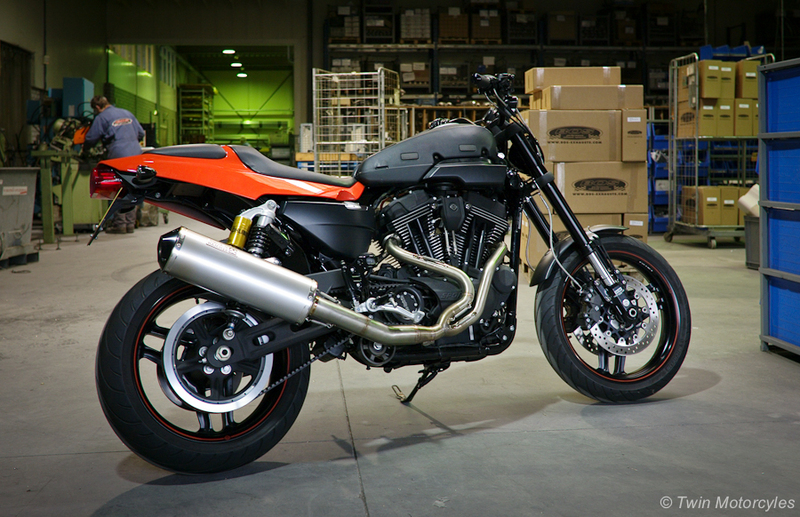 They will look the same from the outside (as in these pics) but the High Performance Race silencer will have the internals of the prototype developed for even better performance than the current exhaust. The results of this prototype are posted here. 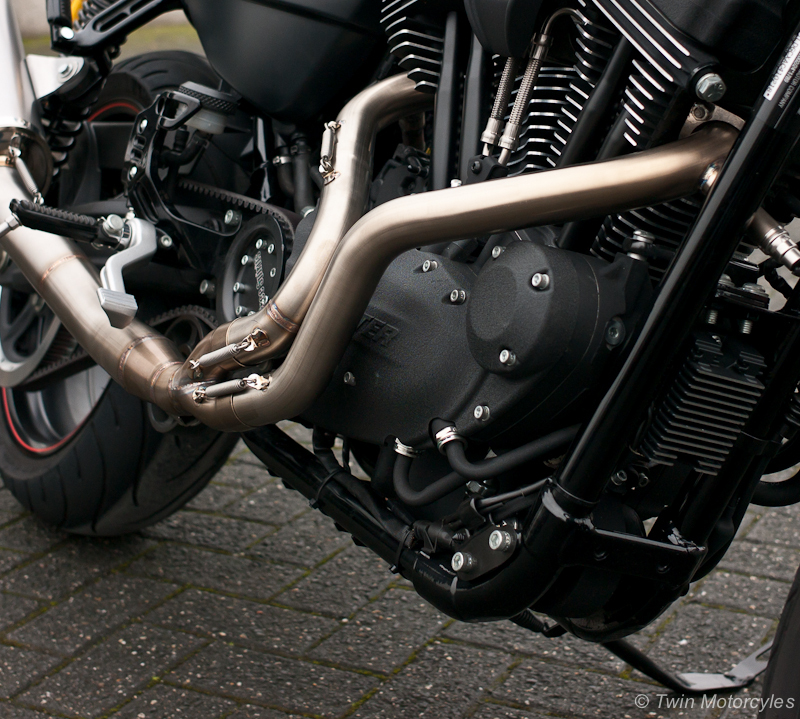 The larger diameter connecting pipe and silencer also gives a deeper lower pitched sound. 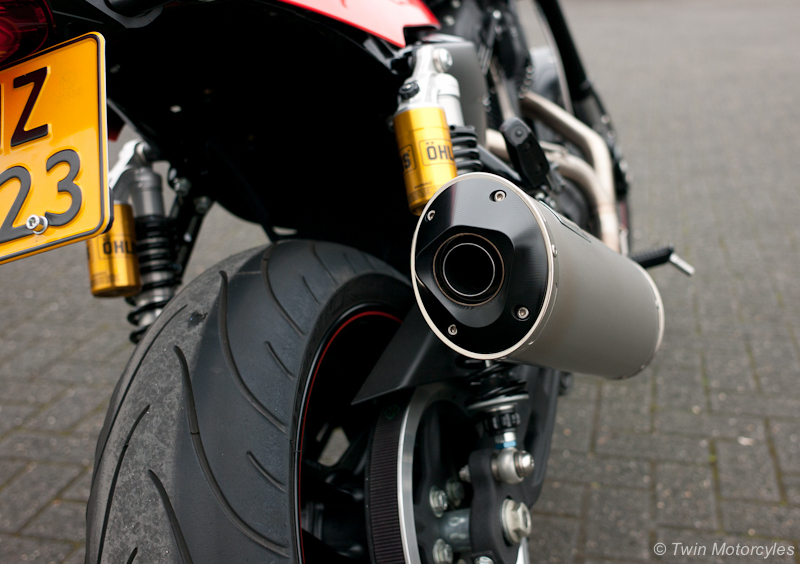 It is not possible to change/convert the street legal E-mark silencer into the High Performance Race silencer or vice versa. Their internal design is too different to make tis possible. The new Torque Hammer II will be available in clear stainless and black. The silencer will be available in silver (as pictured) and black. The black finish of the headers and connecting pipe will be the same as the current black Torque Hammer. The black silencer will be a semi gloss 'gun metal' like black (this looks really good). Pictures will be posted asap. The possibility of different colors of the end-cap is being looked at. This might be possible as an option. 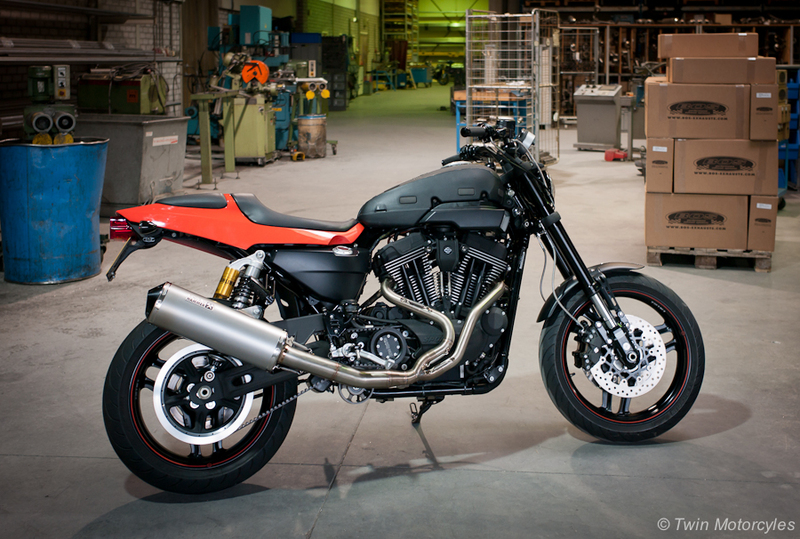 The Torque Hammer II with High Performance Race silencer will be only a few ounces heaver than the current model. The low weight and nearly unlimited ground clearance remain unchanged! We will comment asap on prices, availability and the upgrading options for current Torque Hammer owners. 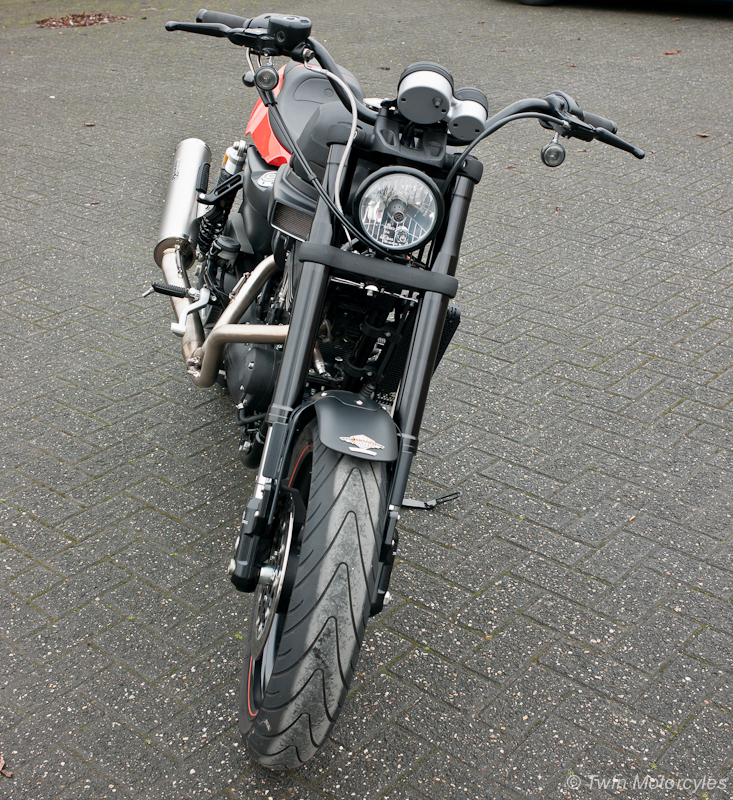 Today we prepared the bike for it's final sound test. All is going good the bike will be shipped to the E-Mark Company. We achieved 89 Decibel at 3500 RPM. 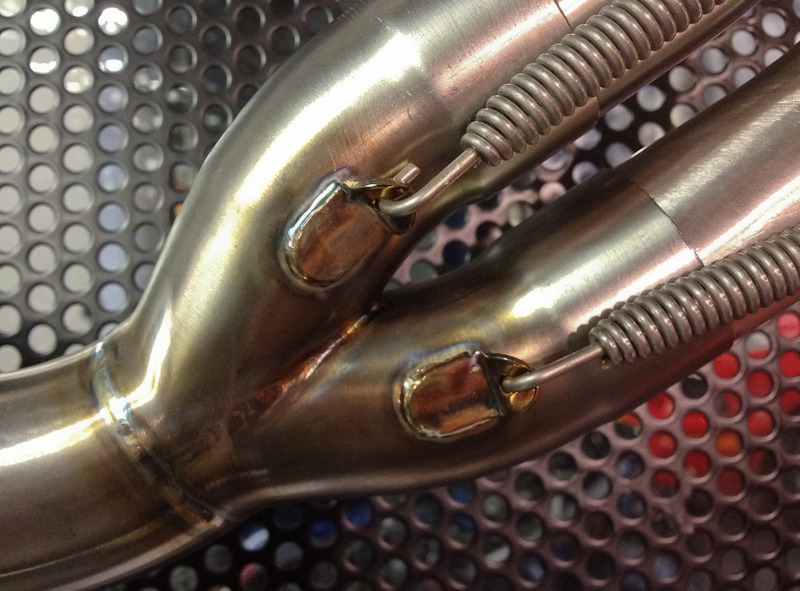 We have the final prototype exhaust in and we use for testing the final prototype airbox. When ready i post the dyno results later. We will make 2 versions. Complete black and complete stainless steel as in the pictures. 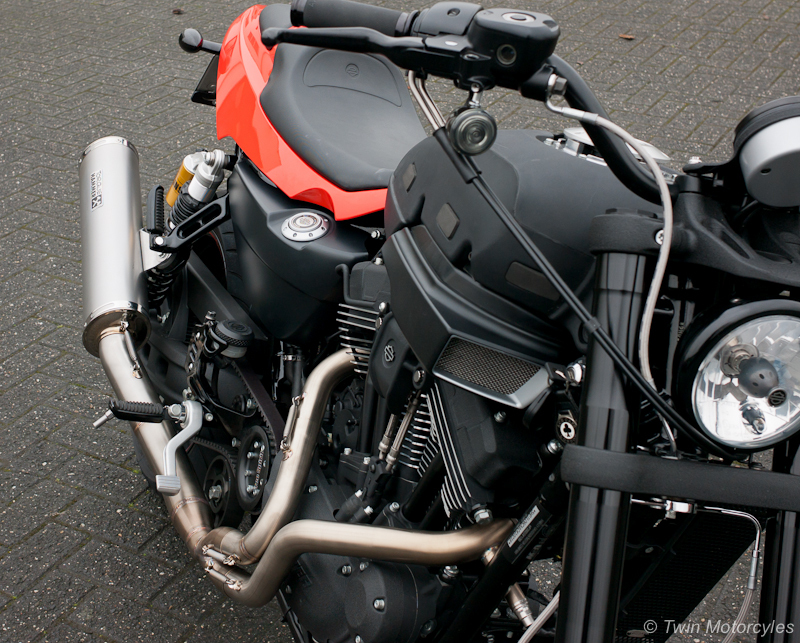 I finished almost the fuelmap for the XR1200 Torque Hammer 2-1 E-Mark system with our HPA Airbox. 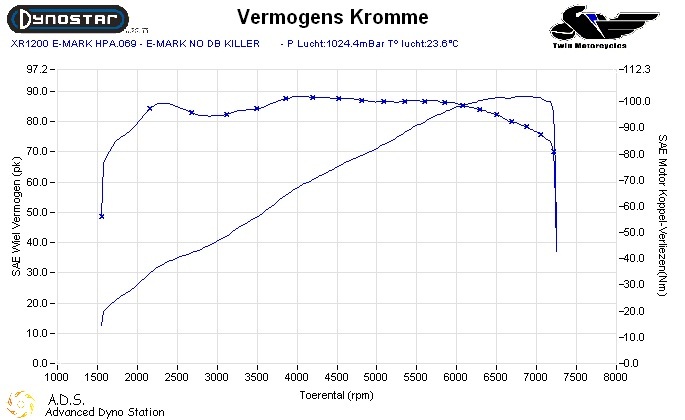 The results are good, 88.4 HP and 102 NM of Torque on the rear wheel SA corrected have a look at the graph down. 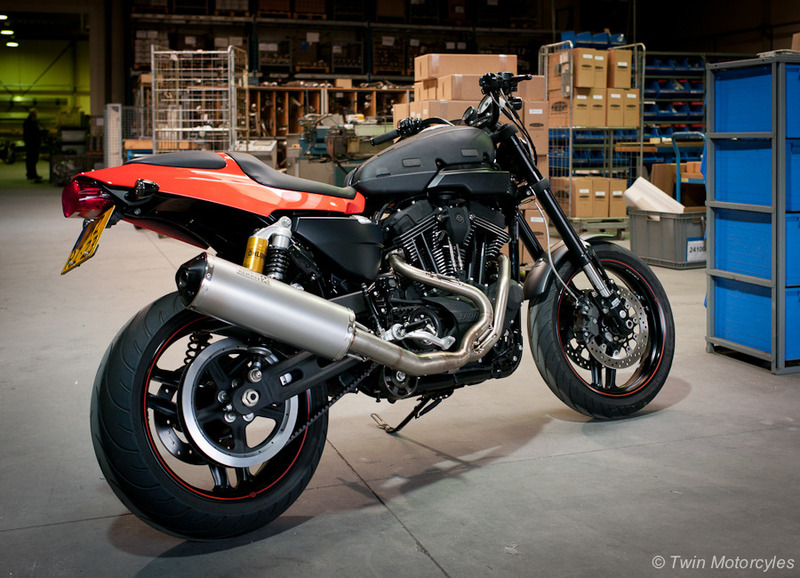 This is the most quit aftermarket exhaust in the market. 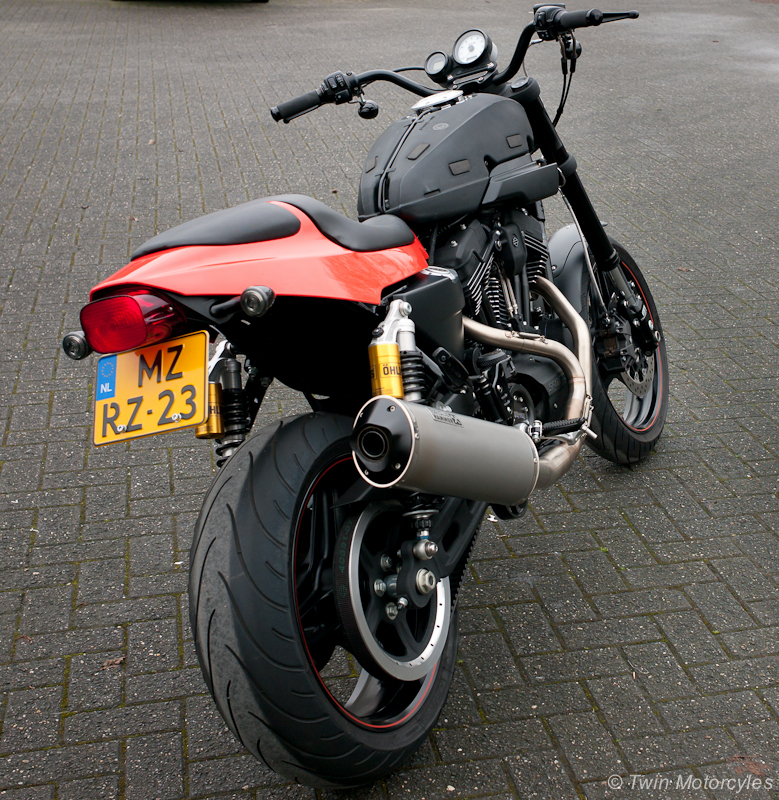 Here is a compare with a complete stock exhaust system on a XR1200 with our Torque Hammer 2-1 E-Mark exhaust. Beautiful results, perfect torque Flat Torque band, The bike is really snappy on the throttle and pulls all the way to redline without 1 hesitation. Also the crusiing and throttle response is awsome. Great product for a great bike.